As much as this humble sportswear staple has the potential to send passers-by to the other side of the street, right now I’m urging you to take these style tips and hug a hoodie. Why? 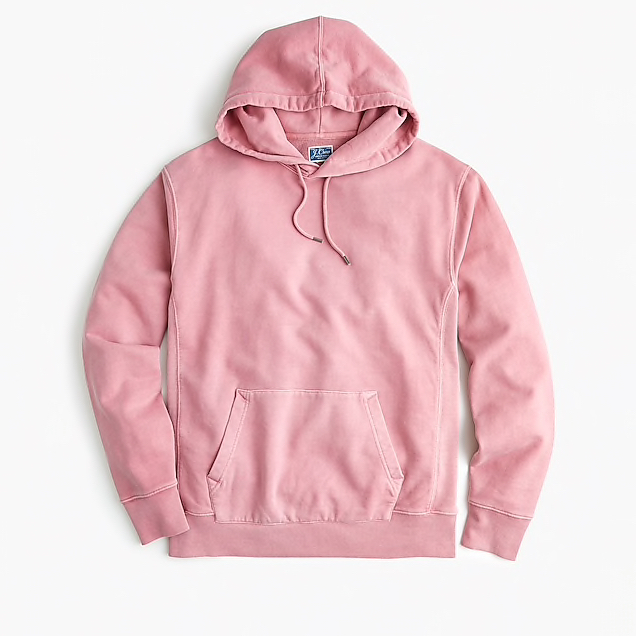 Well, practicality aside, thanks to a designer overhaul the hoodie has gone from uniform for angry adolescents to the item most likely to be covering the backs of well-dressed men everywhere. Sure, a hoodie teamed up with a pair of jeans and sneakers is a tried and tested combination that works. But if you’re looking to sharpen up the versatility of a hoodie, try layering it under a suit for an outfit that rips up the traditional rule book. Sports apparel companies began producing hooded sweatshirts back in the 1930s to keep athletes warm and dry in cold and rainy weather. It was sort of the uniform of champions. Since then the hoodie has been adopted by the hip-hop culture, skaters, snowboarders, angry teenagers, university students and (the reason I’m here) the fashion runways. It doesn’t take a genius to work out that – lo and behold – the hoodie, just like the retro sneaker, would make a triumphant comeback. With the return of joggers signaling that we are now at peak athleisure, it was only a matter of time before menswear got its mitts on the near-century-old staple. Everyone from streetwear peddling upstarts (like Vetements and Off White) to more established menswear heavy hitters (such as Versace, Balenciaga, and DSquared2) have pushed out high-end versions in their collections. This can only mean one thing: the hoodie frenzy is not going anywhere anytime soon. As much as I’m trumpeting the power of the hoodie, don’t think that wearing one is all about making a statement. When used as part of a tailored look, the hoodie can be surprisingly unassuming. To get this look right, wear a hoodie over a simple white crew-neck T-shirt, then add your suit separates and a pair of box-fresh sneakers. If you’re going to wear a hoodie with a suit this means that you’re channelling a ‘look’ and will instantly mark yourself out as a card-carrying member of Club Menswear. That’s no reason not to give this high-low combination a whirl. it’s actually quite easy to pull off. To nail the sports-meets-suit look, try a mid-weight grey hoodie with a light blue suit and choose white or gray sneakers in place of dress shoes. The hoodie hysteria is set to continue for some time so to help you discover more ways to wear them, here are three expert-approved ways to wear your hoodies. I’m an enthusiastic cheerleader when it comes to comfort and style going hand-in-hand. Such is the case with athleisure and thanks to those clever menswear designers, you won’t run the risk of looking like you were too lazy to change out of your gym clothes. To go full athleisure, team a black hoodie with black, fitted joggers and slip on a pair of minimal leather sneakers. Done. A leather jacket over a hoodie is one of those low octane combos that will always work. Use a black leather jacket and black or indigo jeans as the base then experiment with hoodies in different colors. Complete your outfit with a pair of leather or suede Chelsea boots to smarten up this look. For a slightly less committed way to mix smart and casual, a hoodie worn with a pair of tailored trousers is your best bet. It’s an easy way to avoid that dreaded overgrown adolescent territory. Get a grip on this look by opting for a neutral color hoodie, then add a pair of trousers and clean sneakers. If you’re feeling brave, try a little pattern on the bottom half; start with pinstripes or checks. Don’t dig out your old Linkin Park hoodie. Don’t chase the latest must-have hoodie if you want to get the most wear out of it. Instead, go for a timeless, versatile design in a color that complements your existing wardrobe. If in doubt, leave the logo. 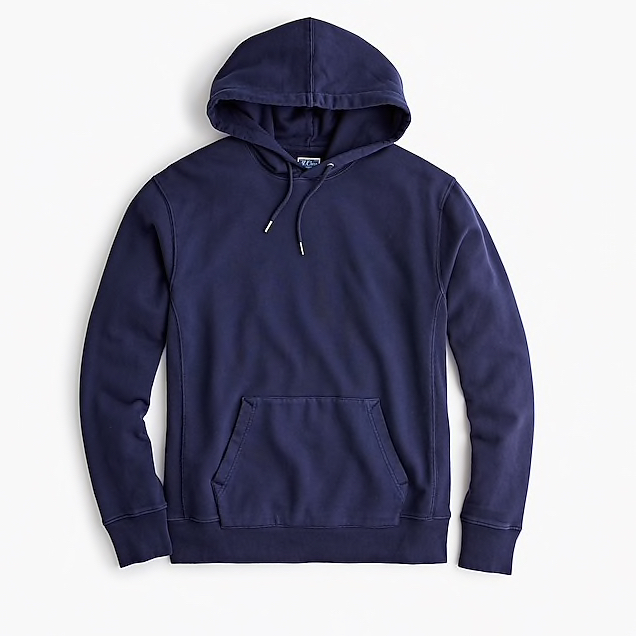 In conclusion, most menswear pieces were born out of practicality, and that’s exactly what the hoodie offers: comfort, comfort and more comfort.